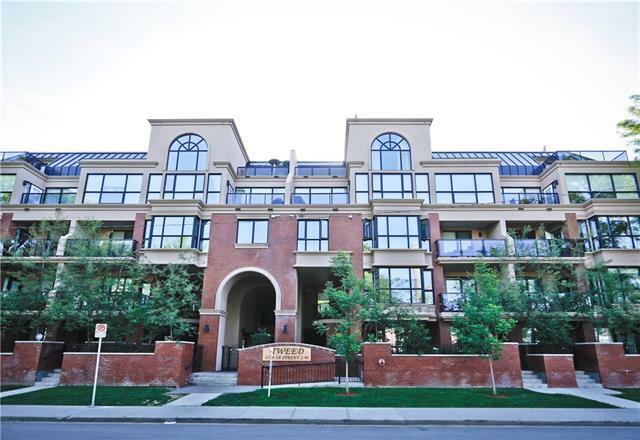 Stunning TOP floor Condo at TWEED! 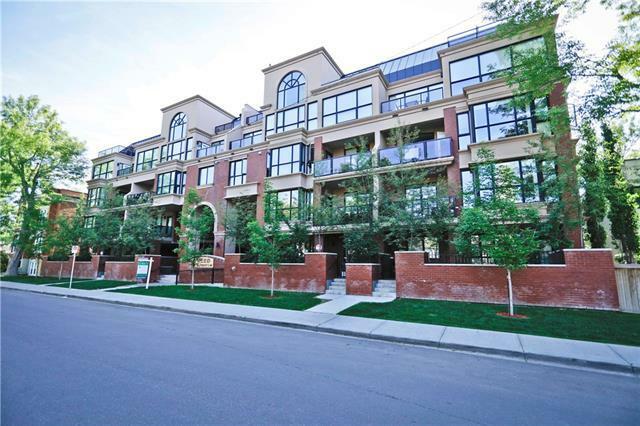 Tweed is a concrete and steel constructed complex for ultimate sound proofing, situated on a quaint tree-lined street in desirable Cliff Bungalow, and walking distance to shops, trendy restaurants, urban parks and minutes to Downtown. 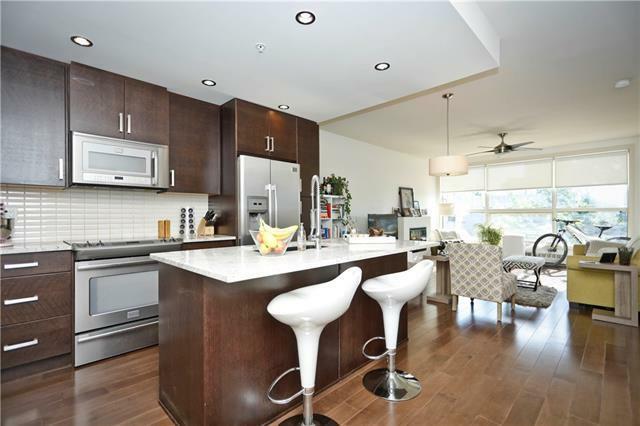 This bright and open concept unit features hardwood flooring in the main living area, designated space for a desk, kitchen with contemporary espresso stained cabinets, stainless steel Energy Star appliances, granite countertops, tile backsplash and island with eating bar. The living room, with fireplace, has wall to wall windows allowing in an abundance of natural light and also has access to the balcony with BBQ gas line and Downtown views. The spacious master bedroom has a spa-like 5 piece ensuite and large closet. 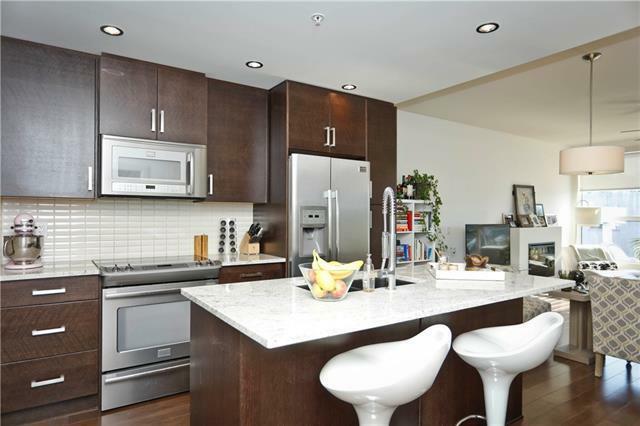 A powder room for guests, in-suite laundry, titled underground parking andassigned storage locker make this a must see!! !